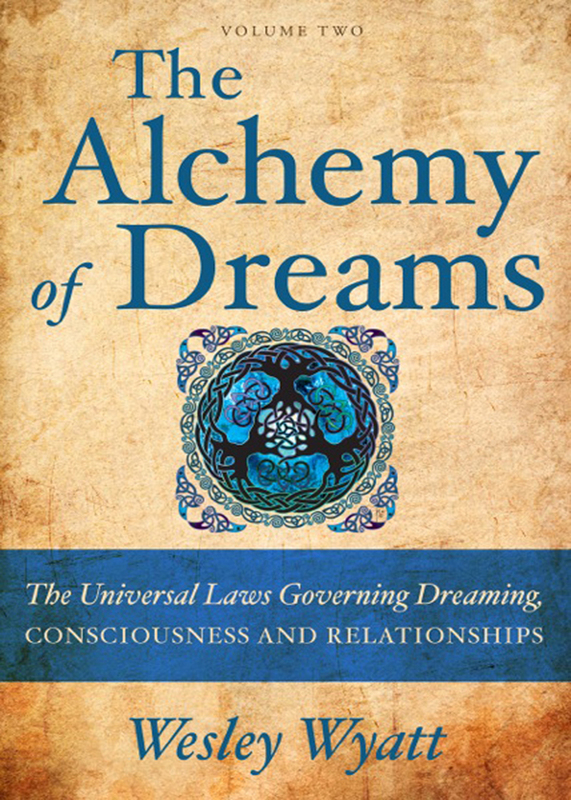 The Alchemy of Dreams – Volume Two is written for those who desire a deeper understanding of the universal laws governing dreams and consciousness. For four decades Wesley Wyatt has utilized his dreams and life experiences as a laboratory for the study of consciousness. Throughout the book, concepts presented by the famous psychic Edgar Cayce and the discoveries of Dr. Carl Jung, the distinguished Swiss psychiatrist and dream researcher, are included for their rich and complementary perspectives. The universal laws governing consciousness, dreams, and relationships. How to become a conscious co-creator. Unmasking projection, repression and polarization through dream work. The meaning behind masculine and feminine symbolism in dreams. How dreams can improve and enrich your relationships. How dreams can assist you in transforming past trauma. author, The Best Dream Book Ever. Dreams are one of the greatest resources available to humanity yet they remain largely ignored and undervalued, their potential unrecognized. Deciphering the symbolism and meaning of a specific individual’s dream has proven both elusive and challenging. The three volumes that comprise The Alchemy of Dreams Series provide definitive answers to long-standing questions about the dreaming process and the language of symbolism. They represent the culmination of one man’s search for answers to life’s most challenging questions. Although dreams are the primary focus, larger issues are also addressed including an overview of the universal laws governing consciousness and how each of us, consciously or unconsciously, participate as co-creators of our experiences. Utilizing the insights and inspiration Wyatt has gleaned from thousands of his own dreams, The Alchemy of Dreams Series utilizes an experiential approach to teach practical skills for deciphering the personal symbolism found within dreams. A deeper understanding of dreams offers every individual a direct means of experiencing the Divine. Whether we name this benevolence the inner self, the Great Spirit, God or Allah – matters little. What matters is coming to an understanding that dreams offer everyone a portal for accessing and experiencing the Divine and experiencing a more fulfilling life. You can purchase the book online from Amazon or Smashwords in multiple eBook formats at http://www.smashwords.com/books/view/395960.